The new royal baby officially has a name! On Monday it was announced the Princess of Cambridge was named Charlotte Elizabeth Diana. 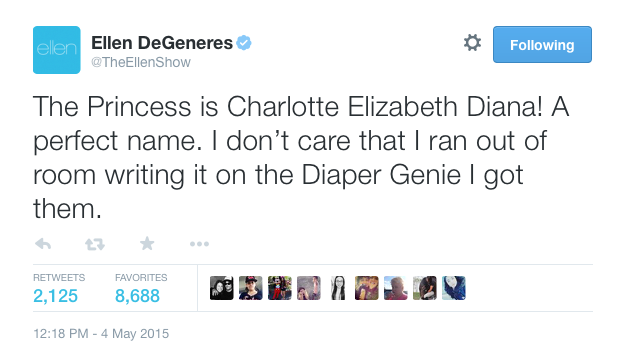 Ellen DeGeneres shared the news in a very Ellen way, with a hilarious joke. A lot of people love the name, glad that William and Kate decided to share Princess Diana’s name with their new daughter. Everyone is also glad that there is finally a girl in the family again; friends of Diana said she would have been thrilled to have a granddaughter. We can’t wait to hear more news about the new Princess! 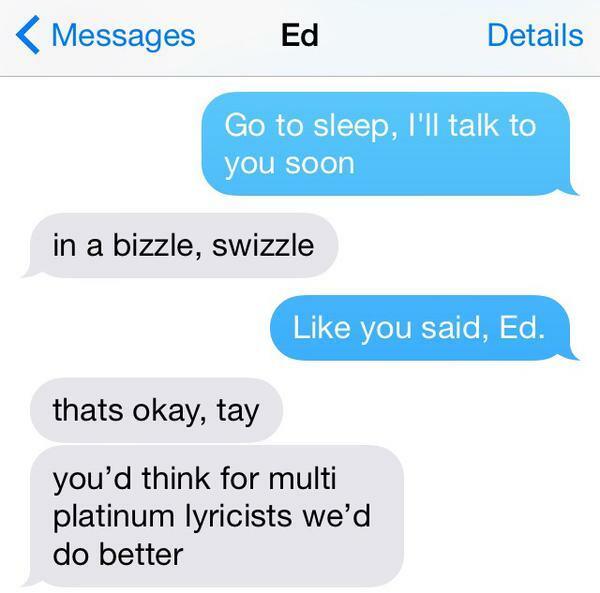 Right before kicking off her highly anticipated 1989 world tour, Taylor Swift shared an adorable text conversation she had with bestie Ed Sheeran. After reading this, how could you not want to be friends with these two?! Meanwhile, Swift just finished her shows in Tokyo and is heading to Los Angeles next. The show is already getting rave reviews. 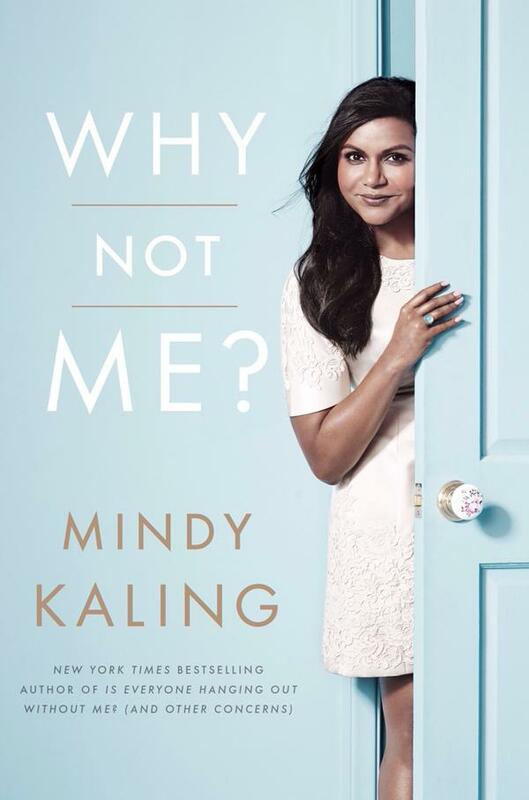 Mindy Kaling shared with her followers news about her next book, called Why Not Me? Set to be released in late September, fans are very excited to read her follow-up to Is Everyone Hanging Out Without Me? Some sad Mindy news came out this week, though. After three seasons, her comedy The Mindy Project has been cancelled. There is still hope, though. Apparently Hulu is in serious talks to give the show additional seasons online. Let’s hope this happens, because the season 3 cliffhanger was insane! And finally, apparently all is not well between the former bandmates of One Direction. 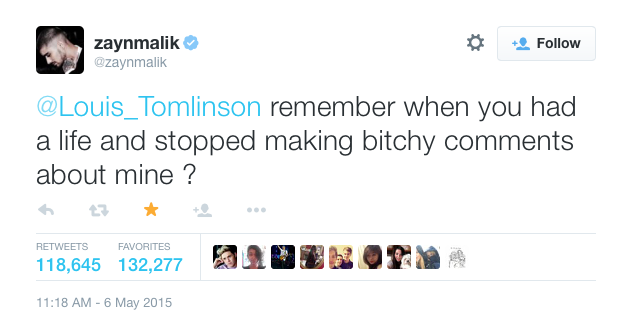 On Wednesday, former member Zayn Malik and current member Louis Tomlinson got into a nasty fight on twitter. It all started when Zayn uploaded a clearly edited photo with special effects. 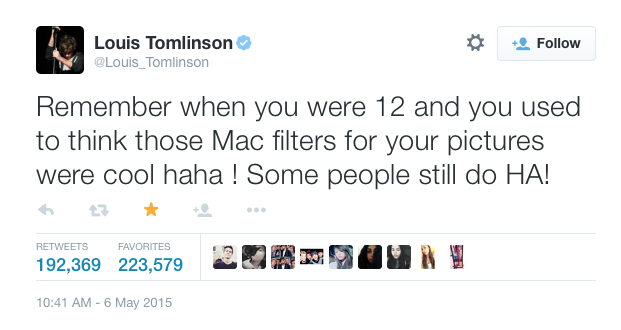 Louis responded with the above tweet, pretty obviously referring to Zayn’s picture. Zayn responded even more aggressively, indicating that these two are definitely not on good terms right now. The bashing continued, with Louis tweeting directly at Zayn’s new music producer, insulting him and calling him trash. What’s going on between these two? I think it’s pretty clear that there is more to Zayn’s departure than just stress and the desire to take a break. What do you think of the One Direction feud? And are you sad about The Mindy Project? Let us know in the comments or tweet us using #glamorouspaper!